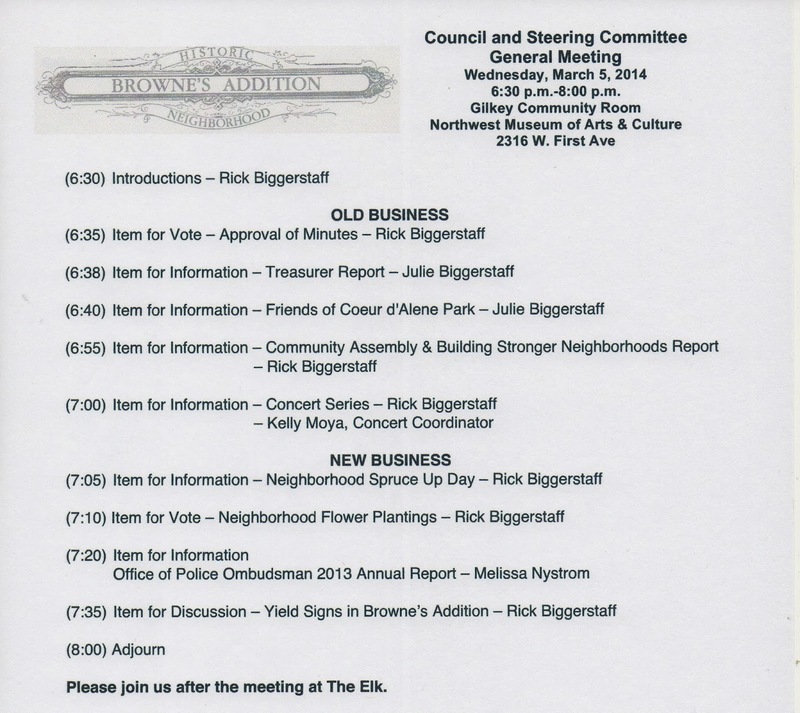 Springtime is just around the corner and so is the March, 2014 General Meeting of your Neighborhood Council. Plow yourself out and head on down to the NW Museum of Arts and Culture this Wednesday evening at 6:30pm. On this month's agenda we are talking about Spring Flowers, the Police Ombudsman's 2013 Report, Yield Signs, and come meet our 2014 Concert Series Coordinator. As always, we'll have you home in time to plow yourself back in!